Free and open to the public and will include a docent-led tour of a beautifully restored 1928 Spanish Colonial Revival home, located across the street from the civic auditorium between 10:30 am -12:30 pm. A special wristband will be required for admittance to the tour, which can be obtained at the Period Piece Exhibit Booth the day of the expo. Owners of vintage properties – from Craftsman bungalows and Period Revivals to Mid-century Modern and Ranch-style homes ­– will have a unique opportunity to obtain useful information and resources from a variety of trades to assist them in what can be a challenging task: preserving the original charm and character of older homes, while still meeting the needs of modern-day living. The Expo will showcase approximately 50 exhibitor booths featuring restoration specialists and contractors, landscape and interior design professionals, period and reproduction tile, lighting and hardware suppliers, decorative and functional artists and many other valuable resources. Click here for a list of the 2019 vendors. Disclaimer: The Glendale Historical Society (TGHS) is presenting the Restoration Expo as a service to educate the community about maintaining the character of older homes. TGHS is not affiliated with any of the vendors participating in the Restoration Expo, does not endorse, warrant, or guarantee any of the vendors or their products and services, and is not responsible for any representations or claims made by the vendors or for the quality of their products and services. In no event shall TGHS be liable for any direct, indirect, incidental, punitive, or consequential damages of any kind whatsoever with respect to any of the products or services provided or performed by the vendors. Brett Waterman, star of the HGTV and DIY Network hit series, Restored, will be a featured speaker. 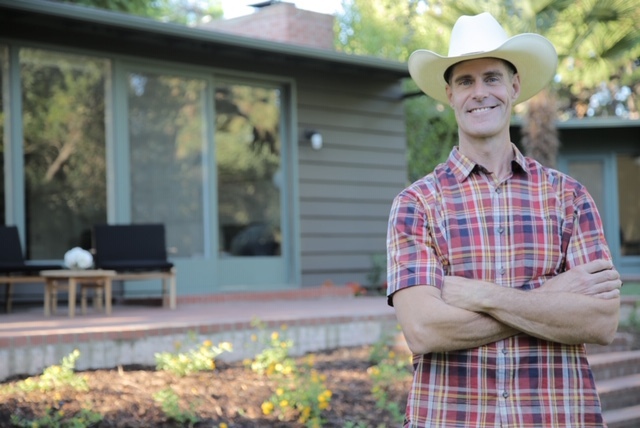 Brett Waterman is the host of HGTV and DIY Networks television show Restored and the new web series Unlocking History (unlockinghistory.tv) that showcases historic properties throughout the country. A graduate of UCLA with a degree in Political Science and History, Brett approaches each restoration effort from both a historical and functional understanding. He believes that a property must reflect the intent of the original architectural design, but the restoration plan must also meet the needs of the owners and their current lifestyle requirements. Blending the old and new, Brett restores properties to their original style while ensuring their relevance for modern times. In addition to his preservation work, Brett is part of the management team at First American Financial Corporation.